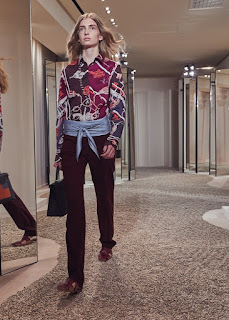 A one-piece cordage-inspired swimsuit, in polyamide and elastane jersey, in vermilion – cargo trousers, in cotton poplin, in berry-pink – a losange, in Jumping print silk twill, in pink, black and white – socks, in silk, in fuchsia – sandals, in linen canvas and calfskin, in solar-orange and Bordeaux. 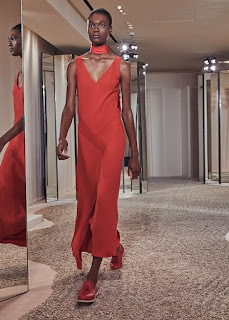 A dress, in silk cady, in aurora-orange – a losange, in Jumping print silk twill, in red, black and blue – loafers,in calfskin, in bright-red. 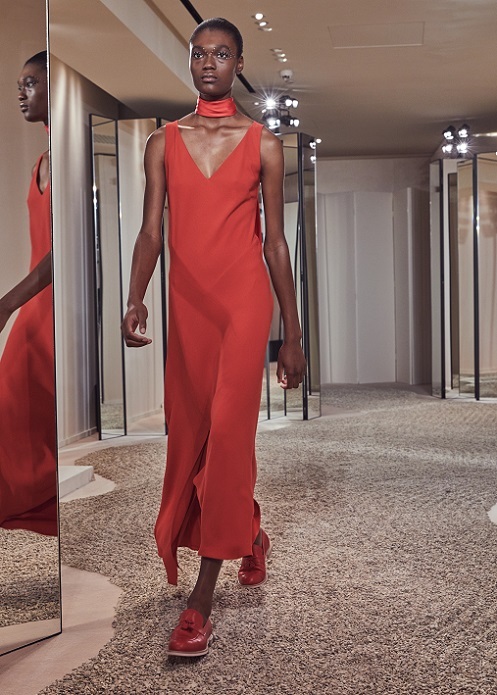 A dress with frills , in Les Clés and Fouets et Badines print silk twill, in Bordeaux – a Chaîne d’ancre Game bracelet, in silver – loafers , in calfskin, in bright-red. 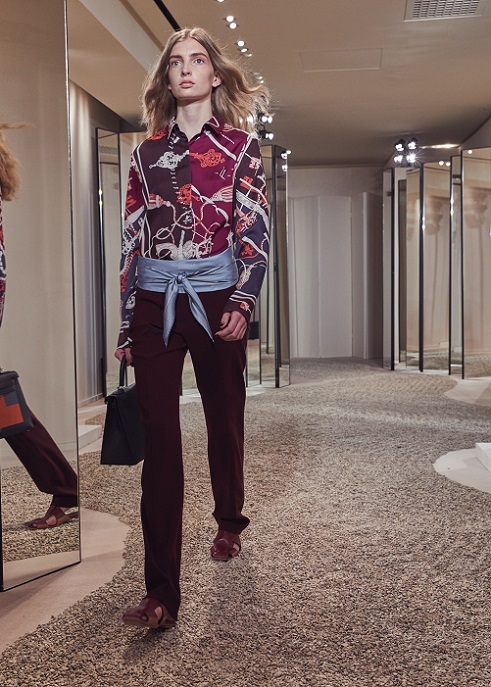 A shirt, in Les Clés and Fouets et Badines print silk twill, in Bordeaux – tuxedo-style trousers, in stretch wool, in Bordeaux – a losange, in Jumping print silk twill, in sky-blue, black and white – a Kellygraphie II alphabet R bag, in Clémence bullcalf and Tadelakt calfskin, in midnight-blue , Bright on-blue and brick – sandals, in calfskin, in Bordeaux. 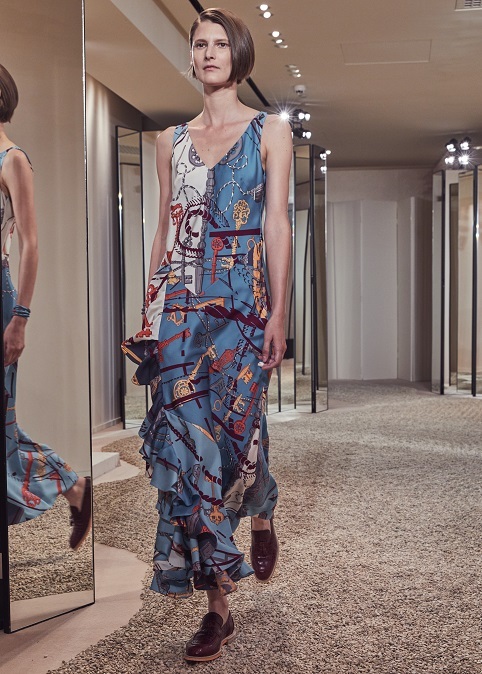 A dress with frills and a twilly , in Les Clés and Fouets et Badines print silk twill, in blue and sky-blue – loafers, in Niloticus cr ocodile, in Bordeaux. 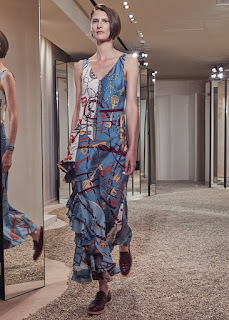 A micro dress , in polished crocodile, in ocean-blue , with bridal bit toy charm – sandals, in white calfskin. 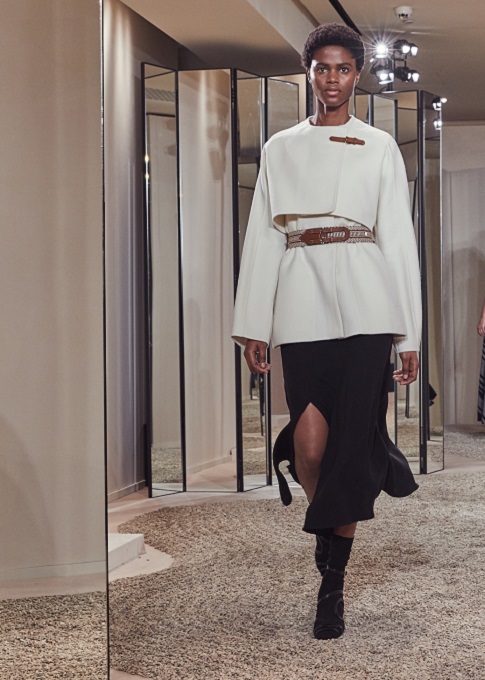 A zipped top and cargo shorts, in cotton poplin, in black – a losange, in Jumping print silk twill, in navy-blue, blue and black – a Chaîne d’ancre Game ring, in silver – sandals , in white calfskin. A parka-style coat, in water-repellent linen, in black – a neo-classic shirt and cargo trousers, in cotton poplin, in smalt – Chaîne d’ancre Game earrings, in silver – a belt, in Sombrero calfskin, in black – sandals, in black calfskin. 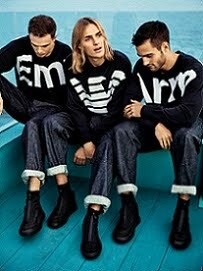 and écru – socks, in silk, in black – sandals, in black goatskin suede and calfskin. 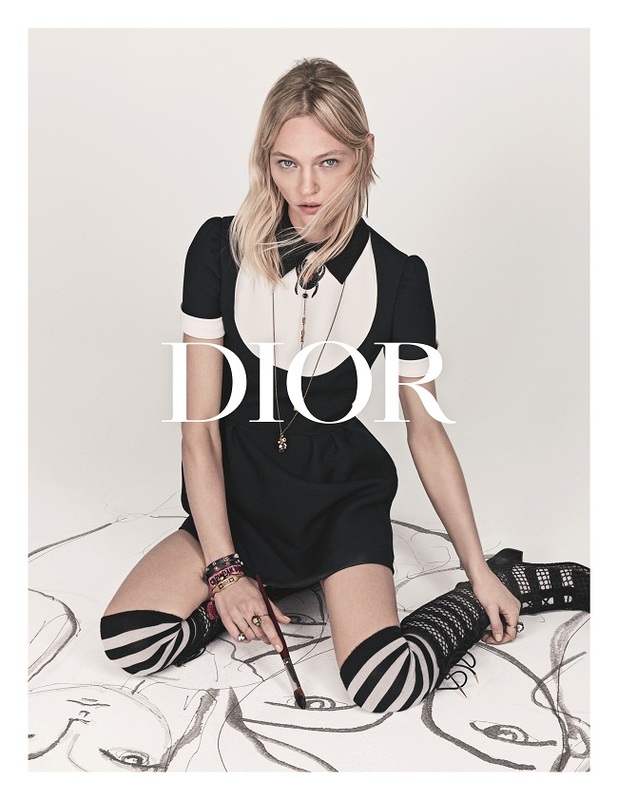 An apron-style dress, in linen, in black – two Chaîne d’ancre Game bracelets, in rose gold and in silver – socks, in silk, in bright-blue – sandals , in Niloticus crocodile and calfskin, in hussar-blue and black. 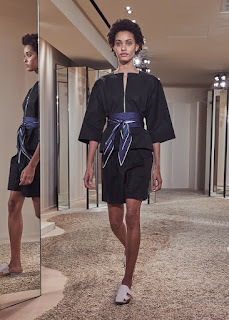 A one-piece cordage-inspired swimsuit, in polyamide and elastane jersey, in smalt – a gavroche scarf, in Robe du soir print silk twill , in navy-blue, blue and whit e – sandals, in linen canvas and calfskin, in natural and black. 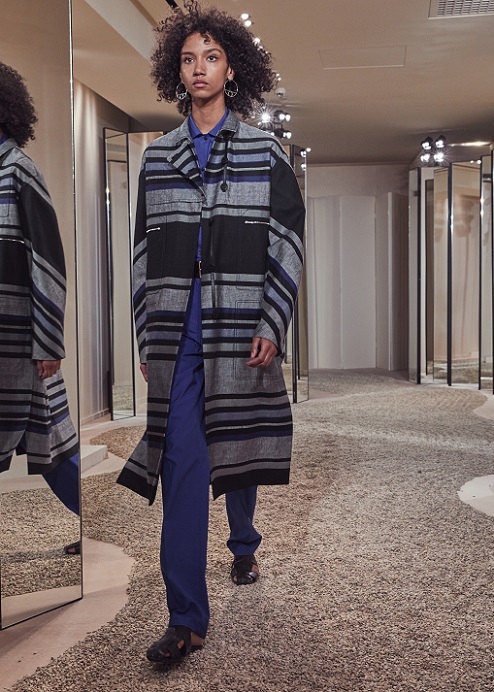 A swing jacket, in Della Cavalleria print cotton and linen, in straw – a neo-classic shirt, in cot ton poplin, in off-whit e – high-waisted shorts, in grained goat skin, in straw , with bridle bit toy charm – sandals, in black calfskin. A one-piece cordage-inspired swimsuit, in polyamide and elastane jersey, in black – a gavroche scarf, in Jeux de billes print silk twill, in black – sandals, in goat skin suede and black calfskin. 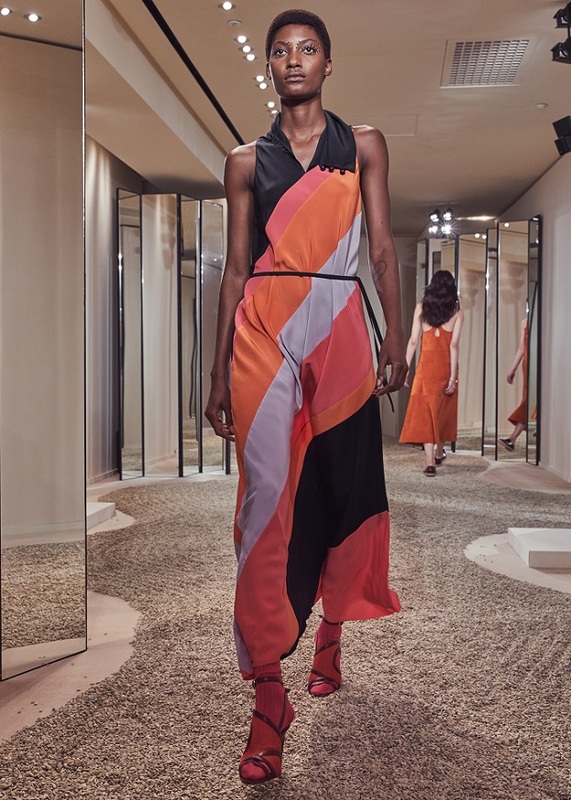 A dress with marble but tons, in multicoloured parachute silk canvas – socks , in silk, in fuchsia – sandals,in linen canvas and calfskin, in solar-orange and Bordeaux. 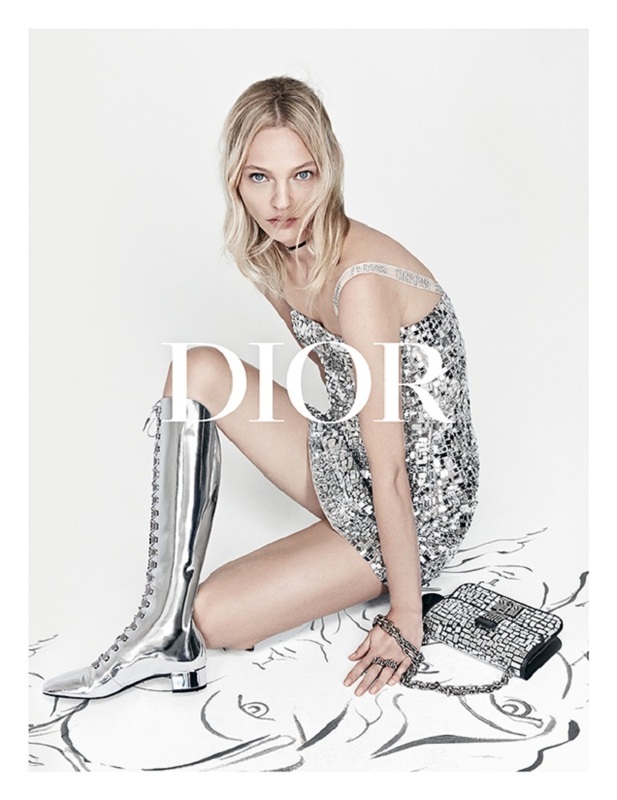 Dior SS2018 advertising campaign chose model and artist Sasha Pivovarova, who had opened the show in jeans and a t-shirt printed with the title of the Linda Nochlin essay, why have there been no great women artists? 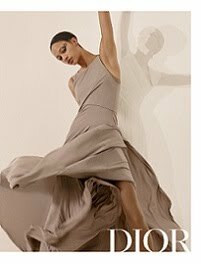 She poses for Patrick Demarchelier’s camera in a photography studio, surrounded by her finished drawings or in the act of making them. These portraits of women with angular faces and large mesmerizing eyes are very personal to Sasha as they are a reflection of her and her emotions. 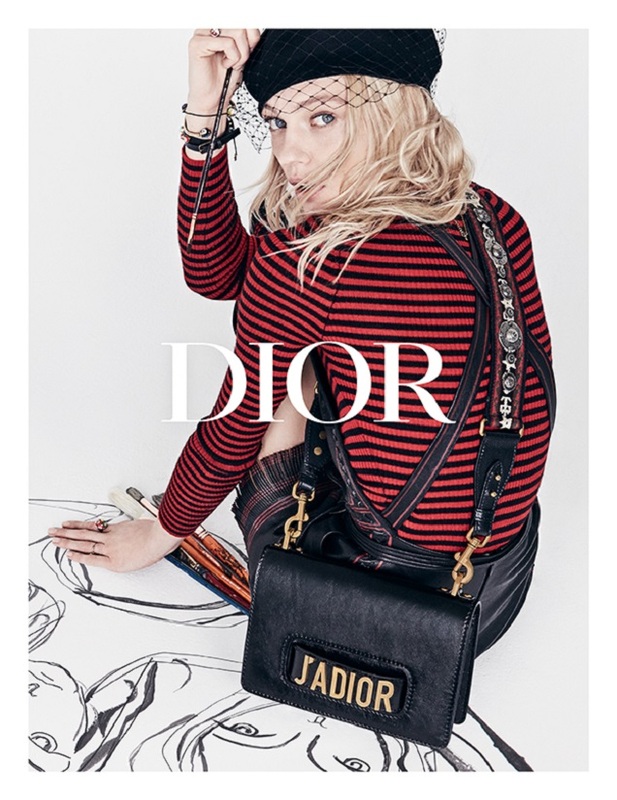 The creative process is reminiscent of Niki de Saint Phalle, Maria Grazia Chiuri’s primary source of inspiration for this collection. 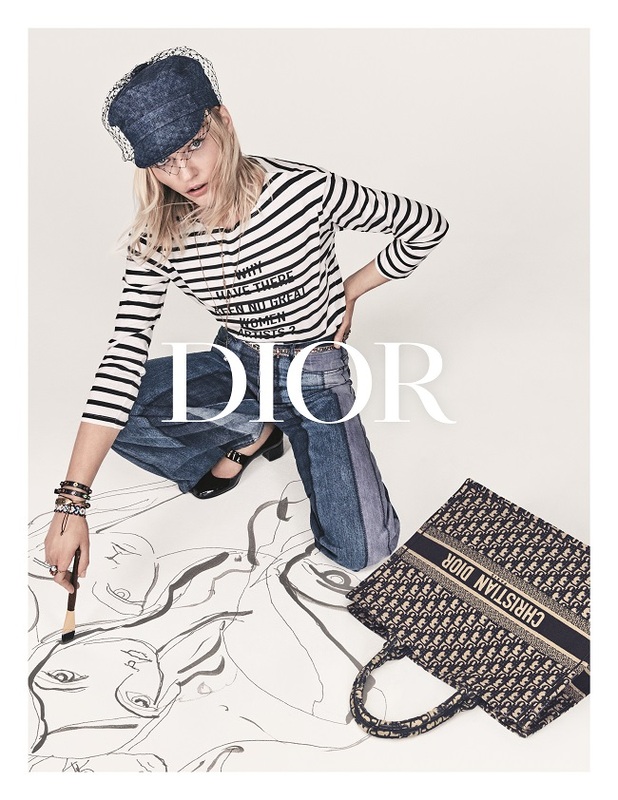 The advertising campaign’s aesthetics also evoke another inspiration: the 1960s, and with them a spirit that’s equal parts artistic, feminine and cheekily playful. 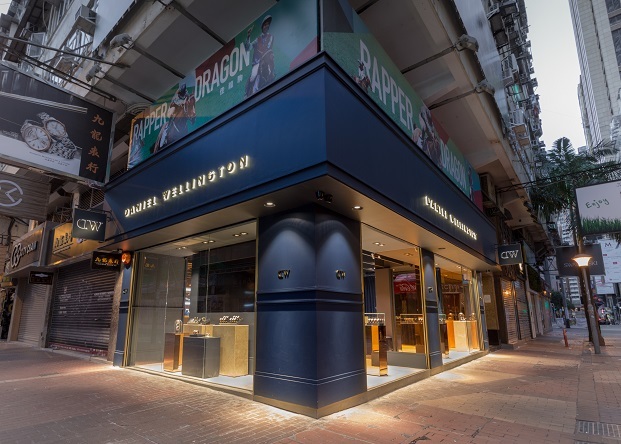 DANIEL WELLINGTON opens its flagship store in Causeway Bay, Hong Kong recently. Known for its refined and minimalist design from Sweden, DANIEL WELLINGTON is loved by fashionistas worldwide for its classic and contemporary aesthetic design as well as the vibrant and energetic lifestyle as seen on social media. 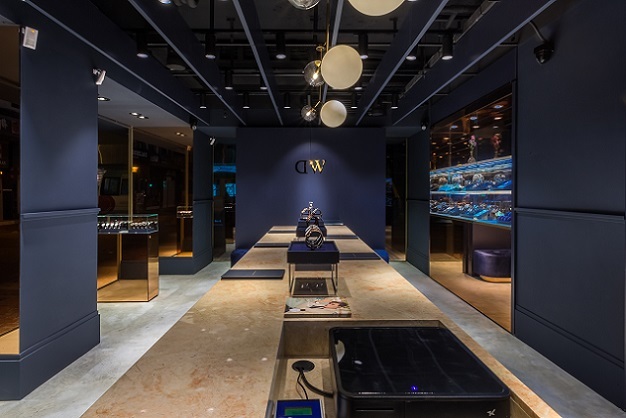 This is DW's eighth store in Hong Kong, a world-renowned hub for international brands. Hong Kong singer, Jason Chan, was upon launch invited as the "Star Manager" of the day to provide an extraordinary customer experience for the opening event in which he engaged in person with eager shoppers and fans of the brand. 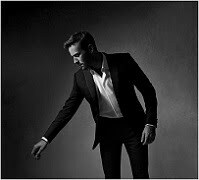 Infused with Scandinavian design, the design of the store aesthetics leads the mind to comfort, simplicity, and a sense of effortlessness. 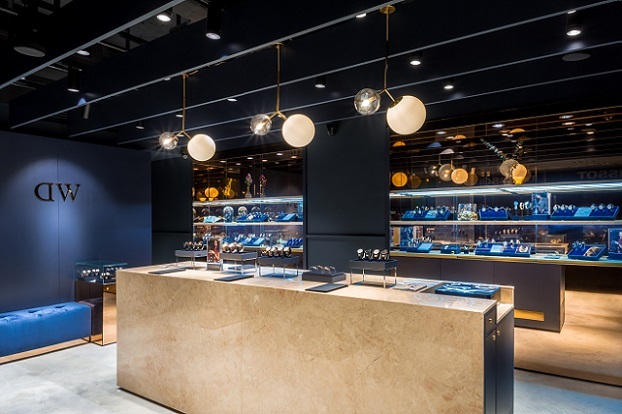 When entering the store, the warm lights let your eyes rest on the rich dark blue signature brand colouring and immediately takes your mind to a restful yet exciting place. DW's classic timepieces and accessories are neatly displayed, just waiting to be tried on. A modern style space rests in the corner for customers to fully experience the premium service and the pleasure of relaxation. 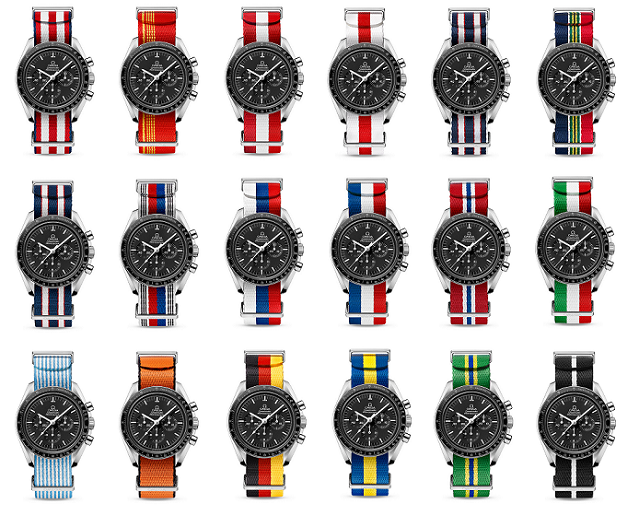 OMEGA's new range of NATO watch straps are inspired by the national flags of competing nations. 18 flag-inspired NATO straps are available, along with 6 new NATO straps inspired by the colours of the Olympic rings: white bordered straps in black, yellow, green, blue and red, and a multi-striped version which blends all 5 colours. All straps feature stainless steel buckles and fitted keepers. OMEGA's "NATO" straps evolved from the leather and canvas straps used by British pilots, navigators and army personnel during World War Two. Whether you're a passionate supporter, or just want to give your watch a bright new makeover, you're sure to find a colour combination to suit your sporting loyalties or sense of style. 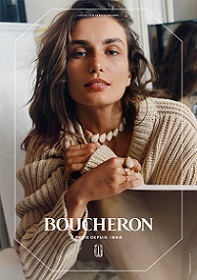 Classic updates and everyday attitudes are the keywords of the season. 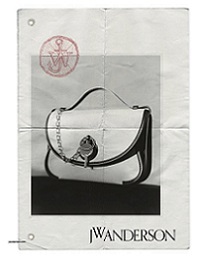 The vara Rainbow Chic with smooth cortex is a couture iconic style and the black and white are the basic colors that always look elegant and graceful on special occasions.The balck-and-white color match of VARA RAINBOW CHIC Flap Shoulder Bag and VARA CHIC Ornament Pump is elegance and fashionable. Vara Mosaic design is inspired by the brand's signature Vara shoes. With eye-catching contrasting bow, heel decorated with floral mosaic patterns, a surprising seasonal innovation, Vara Mosaic is the perfect choice for women who are searching for unique style innovation, Vara Mosaic is the perfect choice for women who are searching for unique style. The elegance of black and white, combined with Ivrea and Adelfia mosaics, make Vara Mosaci an attractive choice for special night events. Brione Mosaic is a sophisticated jewel that makes the shoes comfortable to wear in different occasions. Vara Chic is original and iconic shoes of Ferragamo with an irresistible, vibrant Vara bow, which is an elegant update of reserved wardrobe. The black shoes are stylish and full of charm with five black enamel ornaments. The shoes with eternal color match, black-and-white, have extremely stylish contrasting effect which are the mus-have items in women's wardrobe. 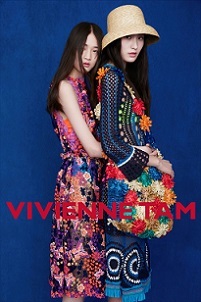 Vara Chic is suitable fo both elegant day wear, the most formal dressing. In 2010, Kiehl’s Since 1851 paved the way for the facial oil category when it introduced Midnight Recovery Concentrate, a potent formula with a blend of botanical extracts that helps restore the look of skin overnight. Since launch, the celebrated formula has maintained a top 10 ranking for Kiehl’s globally, selling over 5 million bottles since launch. In 2015, Kiehl’s introduced Daily Reviving Concentrate, the daytime companion to Midnight Recovery Concentrate, and in 2016, inspired by eastern beauty trends, a new star was born with Midnight Recovery Botanical Cleansing Oil - an oil cleanser to remove even the heaviest makeup looks. With these formulas, Kiehl’s chemists proved that facial oils don’t have to feel heavy or greasy; they can be lightweight, yet packed with a powerful blend of naturally derived ingredients to provide efficacious results. Today, Kiehl’s chemists are proud to introduce their latest take on facial masks with a first to market technology, non-comedogenic, hydrogel-biocellulose sheet mask. 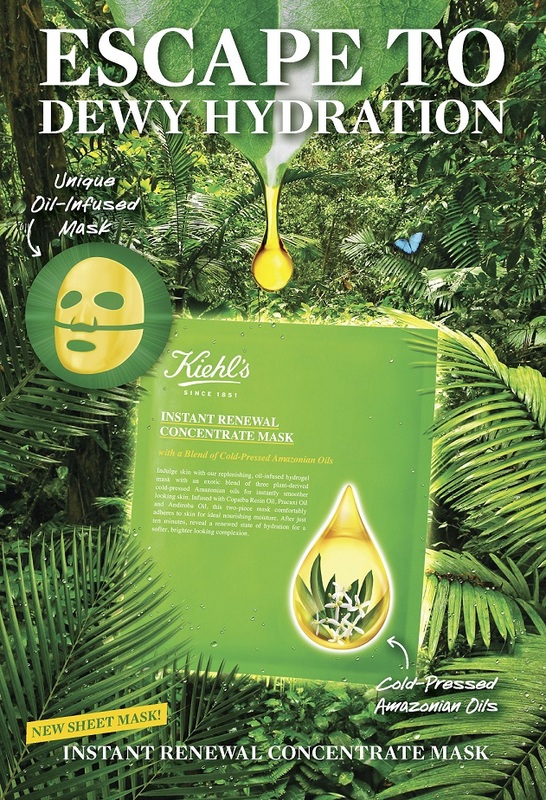 Instant Renewal Concentrate Mask is infused with an exotic blend of three plant-derived cold-pressed oils from the Brazilian Amazon and offers immediate, dewy hydration and softer feeling, smoother looking skin over time. Inspired by customer demand for a sheet mask that fits all face shapes and allows for no-mess application, Instant Renewal Concentrate Mask has a 2-piece design that comfortably adheres to any face shape, ensuring optimal absorption of key ingredients. 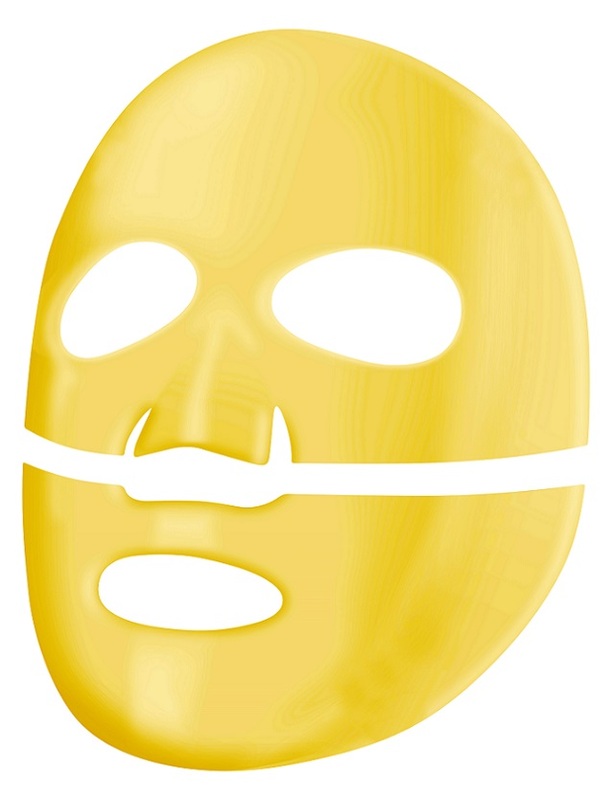 For an improved application experience, the mask features a unique hydrogel-biocellulose technology - no drip, no mess - while delivering quick absorption and instant, dewy hydration. Dining out can sometimes be an expensive pastime but when you choose wisely you will think your money is well worth spending. 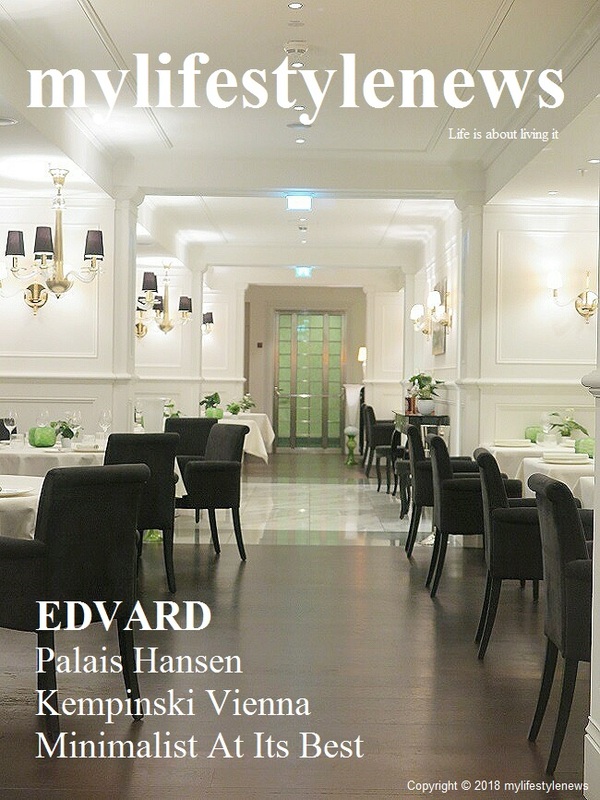 Staying at the Palais Hansen Kempinski is one of life’s luxuries that must be enjoyed and to discover that they have EDVARD – a highly recommended Michelin starred restaurant – was the icing on the cake! 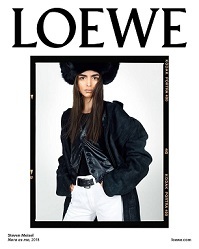 mylifestylenews writes. EDVARD has street frontage to the right of the hotel lobby but is discreetly tucked away and has a very chic ambience of Scandinavian ‘cool’ in its minimalistic design with dark wooden floors and fresh shades of lime green and white. The long dining room is elegance personified with one long central aisle and tables and banquette seating off either side. Simply elegant chandeliers and wall sconce lights add that designer touch in a very tasteful way with a neutral color palate throughout allowing for all the food to shine on arriving at the white clothed tables. 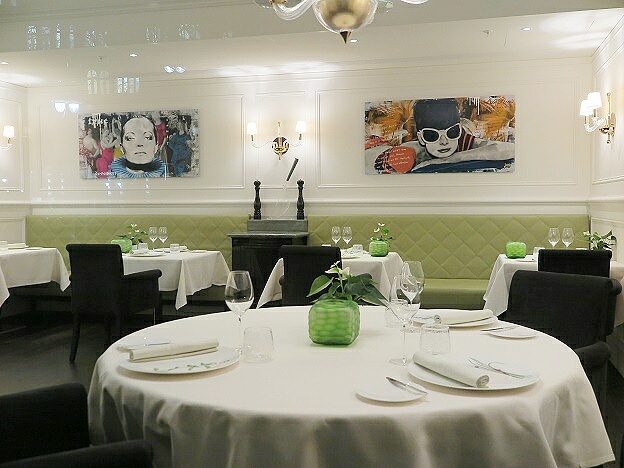 As expected for a one Michelin star recognized restaurant, the tables are very spacious for two people and the accoutrements on the table are sparse so that it is all about the food presentation. 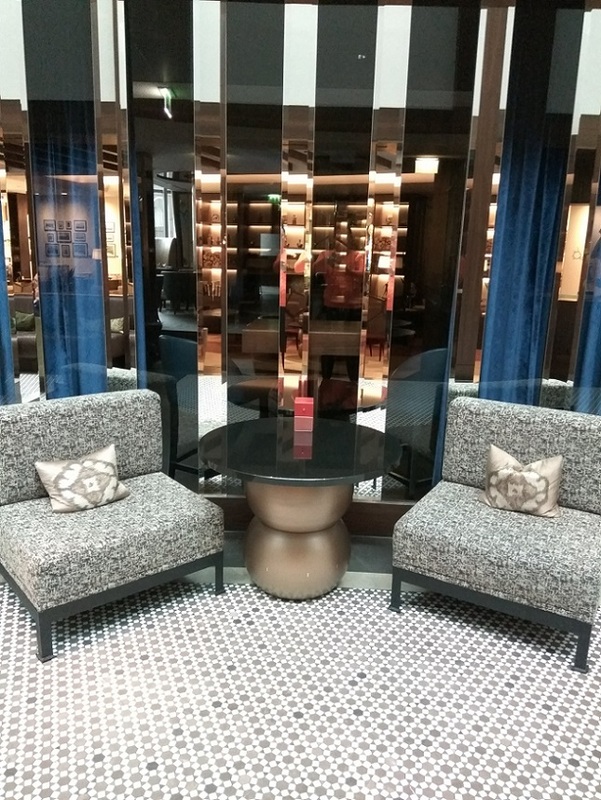 The furniture makes you instantly comfortable and allows you to soak up the atmosphere while being guided through the menu by the knowledgeable front of house team. It is always exciting when you are in foreign land to have someone, especially the locals who know and adore their food, telling you where and what to eat for their very own gastronomy creations, with local culture and heritage aspects as an influence. EDVARD serves seasonal dishes with international influences and regional products at getting the best possible taste out of every ingredient. Quality often comes at a price, but the joys of luxury dining in Europe are always affordable with a lunch menu. EDVARD has a set course lunch menu that takes one through a journey of flavors that had us anticipating some superb dishes based on the descriptions as the carefully crafted menu is based on the selection of produce that is to create the harmonic combination of all components to a complete dish. The tasteful stucco EDVARD is named to homage the famous architect of Palais Hansen – Theophil Edvard Hanse also awarded for 17 Gault&Millau points. The menu designed is pretty much straight forward and simple with a choice of three from starter, main to dessert. Before we even began our starter, an amuse bouche presented on an open glass box laid with barley beans and a mouth full taster of light grilled scallop was served after one another to tease your taste bud. The presentation was a standout plus the homemade bread is divine. <Pork/Parsnip/Chili> with thick sliced pork belly garnished with julienned chili, parsnip and sauce that is to blend well with the meat to elevate the flavor of the dish. A few deep fried crispy pork skins are sprinkled to give a bit more of a surprise to the palette. The creation could achieve its triumphant satisfaction if the flavor could be a little bit more intense and zingy. The other starter <Burrata/Matcha/Millet> was superbly presented on a flat white round plate to highlight the garnish of seeded grains millet and rich burrata cheese with green tea flavor matcha dressing. For main, we opted for <Halibut/Artichoke/Topinnambour>. We loved that the halibut was not being overcooked but lightly seared on the outside and easily pulled off by the fork sitting on a base of artisanal homemade foamy sauce. This is the best way to enjoy a freshly cooked award winning fish dish. The <Beef cheeks/Polenta/Root vegetables> brings the notion of gourmet to the next level with each mouthful a party parade of flavors. Tenderly cooked beef cheek with succulent flavors that you won’t disappoint. A classic Michelin starred dish. For desert, we faded out the cheese selection and went on to the <Guanaja/Tangerine.Licorice>, most citrusy and refreshing and aromatic with each spoon full wwhich was a delight. As for the other dessert <Cox Orange/Walnut/Caramel> was like a labyrinth of love, getting lost at the beginning with a slight confusion in the palate but eventually you will find your way out by realizing each morsel is so enjoyable with the combination of ingredient used that make it work. You can’t deny that by dining in a Michelin starred restaurant comes with expectation. Sometimes good and sometimes leads you to disappointment but if the culinary team has done it right, endless surprises await. Here in Edvard, the potential is great! 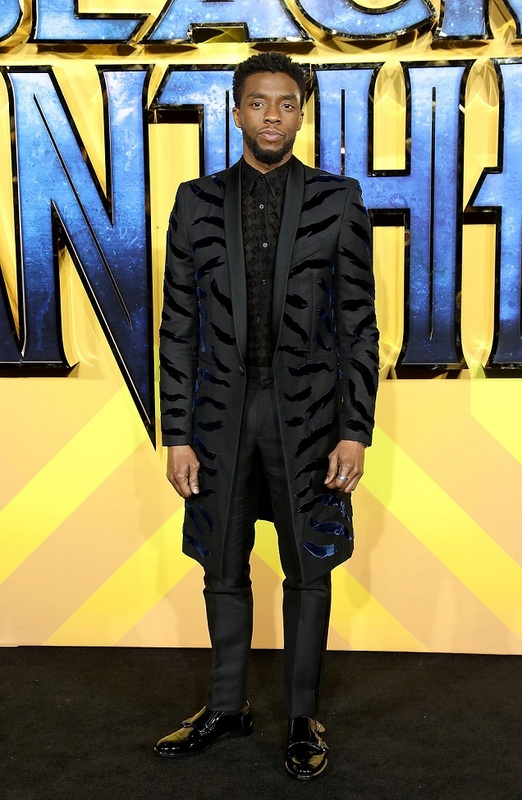 Chadwick Boseman wore a black and dark blue tufting Zebra on huckaback coat and matching pants, 4G devore black silk shirt, black calf leather monk shoes all from Givenchy SS2018 outfit designed by Clare Waight Keller to the <Black Panther> European Premiere at Eventium Apollo in London recent. OMEGA introduces the “Seamaster Olympic Games Collection”, which celebrates the brand’s unrivalled timekeeping legacy through five unique watches. The collection represents the different colours of the famous Rings of the Olympic Games, with models available in black, yellow, green, blue or red. As well as having a vibrant colour design and playful spirit, the collection has largely been inspired by several OMEGA stopwatches from the brand’s timekeeping past – particularly those used at the 1976 events in Montreal and Innsbruck. This can be seen on the domed black and white dial of each watch, designed to be read at a glance, with sporty hands and bold hour markers on black, set in sharp contrast with an easily-readable minute track on a white outer circle. To further enhance the watch's athletic spirit, there's also a coloured pulse reader encircling the dial, with three narrowly-separated 20 second timing intervals, enabling the wearer to easily calculate their pulse beats-per-minute. On the caseback, there is an anodized aluminium ring which includes all known host cities and dates from OMEGA’s Olympic Games journey, from Los Angeles 1932 up to Los Angeles 2028. This impressive list shows exactly how OMEGA has established its name at the event over so many years. The 39.5 mm watches are presented on leather straps, which are micro-perforated both for style and to aerate the wearer’s skin. Inside, the watches are driven by the Master Chronometer calibre 8800. Only 2,032 versions of each model have been created, a reference to OMEGA's role as Official Timekeeper, which extends right through till 2032, marking 100 years of Olympic Games timekeeping. The Limited Edition number is engraved on the side of the case. 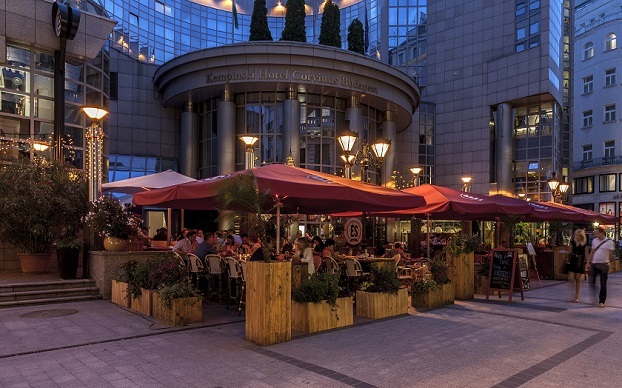 When you walk into the Kempinski Hotel Corvinus Budapest, you will immediately be charmed by its high ceiling lobby with soaring column pillars and a connected stairway to the next floor and tasteful flower arrangements as the central of attraction. 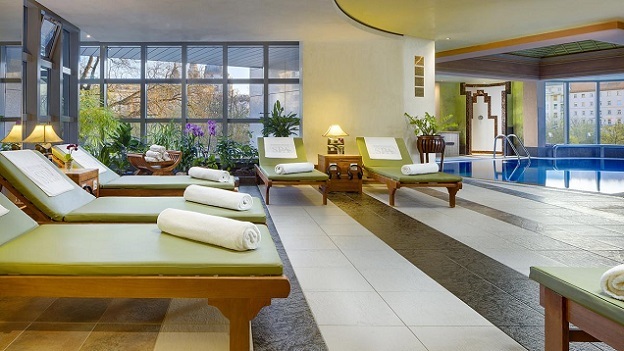 For that classic 5-star luxury hotel impression, this is the essence of this grand hotel. 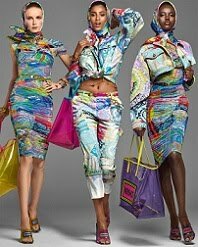 mylifestylenews writes. The grand atrium lobby is modern and contemporary in design to maximize space and attain further comfort. Celebrating over 25 years of success with glorious achievements receiving guests and VIPs from around the globe, including the late Michael Jackson who met his fans through the hotel’s window facing the park where now there is a memorial tree just across the street to pay tributes. The hotel promises a further upgrade of refurbishment for its existing rooms floor by floor to an endearing modern and sophisticated comfort that offers a more luxurious lifestyle standard and amenities. Despite some of the floors are closed for the initial work that has begun during our stay, guests are all well-informed and we were not exactly bothered by any distraction. It is centrally located in Downtown Budapest on Erzsébet tér, where the fashionable pedestrian Deák Ferenc utca is at your doorstep alongside the city’s monarchical best. 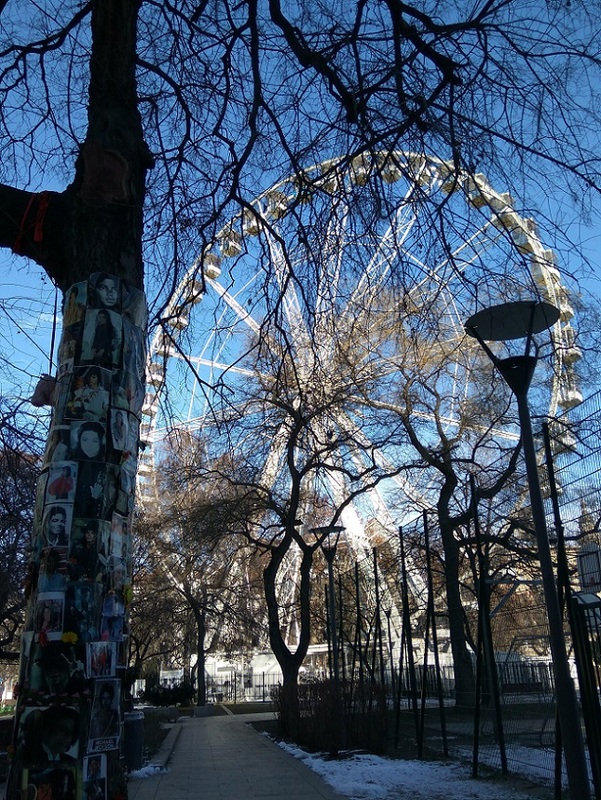 The Erzsébet Park over on the other side is another attraction, with the Budapest Eye further enhancing the existing view of the flat Pest’s neighborhood. It is a short walk away to the Danube River by crossing the 19th century Chain Bridge to the hilly Buda district to get the most striking impressions of the city. A ubiquitous fascination with Bauhaus and modernism, Budapest is a quintessentially European capital that bears the splendid signature of a truly European history like no other. 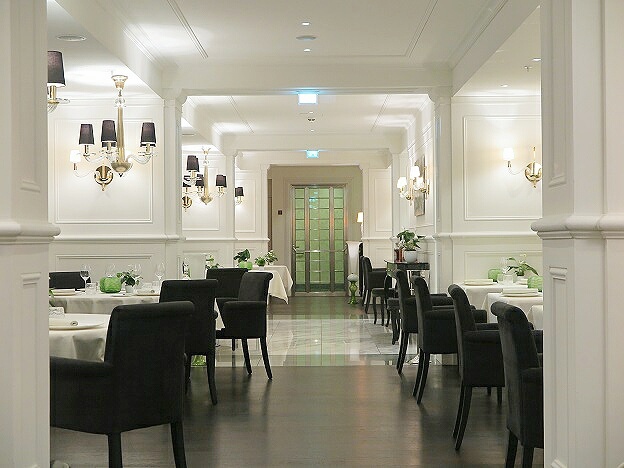 Its ambience resonates with a multicultural charm rich in Roman, Italian Renaissance, Ottoman, German and Austrian impressions, offering a unique composition that makes up the Hungarian culture and identity uniquely theirs. Our 35sqm Deluxe room was overlooking the Erzsébet Park and Budapest Eye outfitted in a reserved Neo-empire classic style design, that was bright and spacious and a large bathroom with underfloor heating, with separate bathtub and shower. The interior and landscaping was designed by architect Dr. József Finta from Living Design, Solano, MKV Design and we await to see the refurbished rooms with new contemporary glamour that plays with the perception in newly sophisticated ways. Michael Jackson memorial tree is located across the street of the hotel. With its cosmopolitan yet local flair and diverse gastronomic experiences, the hotel also offers remarkable culinary attractions in its Gastronomic Quarter Downtown Budapest that was inspired by the four pillars of the Kempinski philosophy - beauty, gourmet, culture and savoir-vivre. Featuring two restaurants including the popular Japanese restaurant, Nobu, two bars, a coffee house and a deli. A bespoke rooftop herb garden cultivated by Executive Chef Roland Holzer and his kitchen team provide a direct supply to its existing food & beverage outlets. A good breakfast to start the day at ÉS Bisztro is essential before the outlets get packed with business crowds for lunch. Breakfast serves at ÉS Bisztro that is different from the traditional concept, as it is also a wine bar, a pub, a terrace, a bistro, a restaurant and a brasserie. A huge variety of selection ranging from the Hungarian slash Viennese style traditional delights to international spread; even the Asian menu is not forgotten that comes in a-la-minute fried rice and congee as well as Japanese style breakfast. All in all it is well looked into catering for different markets that needs to entice the travelers from the west and the orient. It is all about combining the opposites while also promoting natural connections through its local and international gastronomy. The hype & vibe continues after office hours and evening diners fill the place in the flash of an eye and the outdoor terrace is even more popular in the summer when the sun is out to play. Reservations are highly recommended to secure your table for not missing the fun-filled vibes that could possibly redefine your views in the contemporary dining scene in the heart of Hungary’s capital. Where ÉS Bisztró remains one of the leading restaurants in the hotel, The Living Room is an urban oasis and evokes childhood memories for Budapest and visitor alike to relax in style. Inspired by the local coffee house culture with great coffee, fine teas, a cake selection and strictly rosé- only champagne is served, just the way you like it. 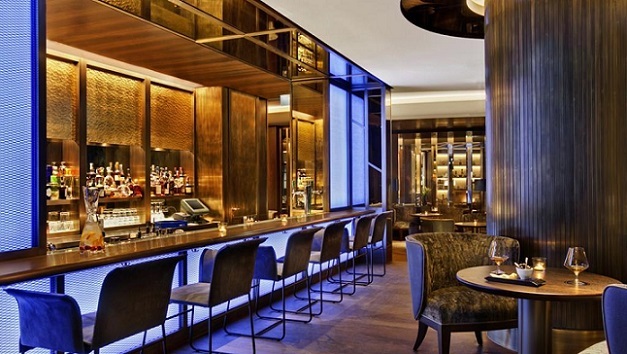 A hue of blue lights attracts the passers-by from the street-lobby level Blue Fox The Bar is the hotspot for a sophisticated time out and ideal meeting place for pre or post dinner drinks. Crowds fill up the place during happy hour usually to chill in this classic yet cosmopolitan bar with fresh accents in both its drinks and its style. To end a perfect busy day, we indulged our senses and could unwind to the strains at the hotel’s spa with treatments by Elemental Herbology, inspired by the cycle of the European seasons. Staff is always the greatest asset to a hotel especially those who work in the front line that provide first hand information to their guests. Since its opening in 1992, the Kempinski Hotel Corvinus Budapest hotel has been living up with the sheer spirit in providing its Hungarian hospitality to their guests and visitors alike, especially when you approach Tamás Takács – the Golden Key Head Concierge and his team with great recommendations on what to do, see and dine while you are in town by exploring the magic and wonders in Budapest and near-by highlights. Whether you are going on the yellow underground line vintage train carriages or stroll along the avenue stretch between Erzsébet Square and Oktogon, admiring the stunning post war architecture and countless bars, cafes and restaurants; visiting the 130 years old neo-Renaissance State Opera House by the famous Hungarian architect Miklós Ybl; having a drink or two at one of the many beautiful squares, the vibrant Jewish quarter, shop and dine in the market hall, roaming along the Danube River and being mesmerized by the majestic Parliament house or a staring at the view from the quaint, leafy, hillside idyll Buda, a visit to the traditional bright yellow and neo classical Széchenyi thermal bath in city park, find your treasure on Falk Miksa utca antique row and etc. There is so much to do in so little time. 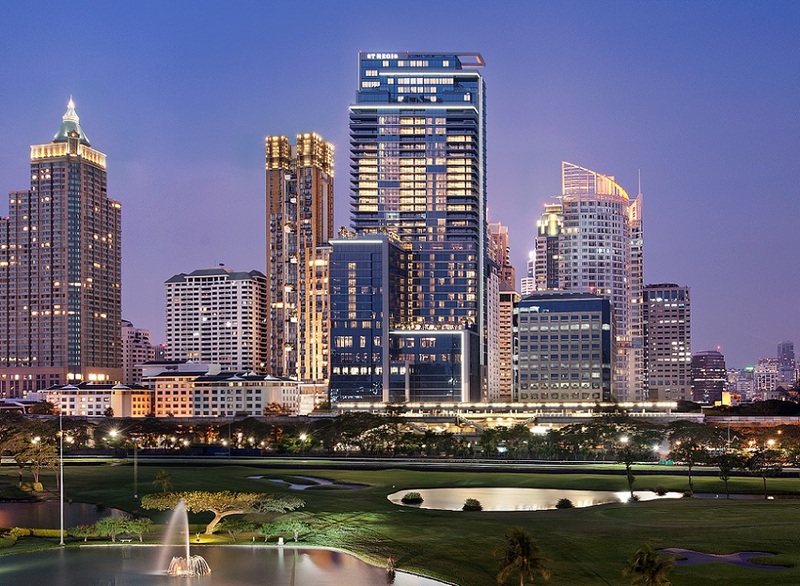 The hotel continues to reinvent international luxury not only in its outfitting, as well as in its service.